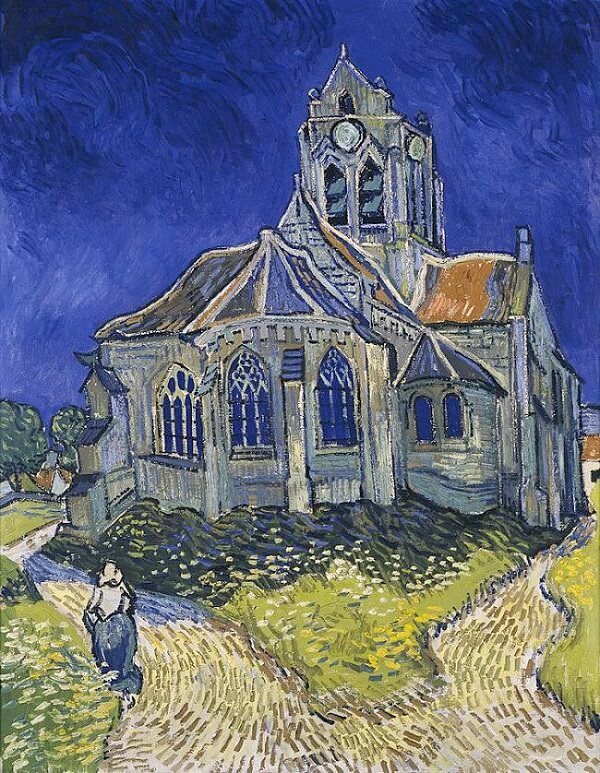 The Church at Auvers is an oil painting created by Vincent van Gogh in June 1890, which now hangs in the Musée d'Orsay in Paris, France. 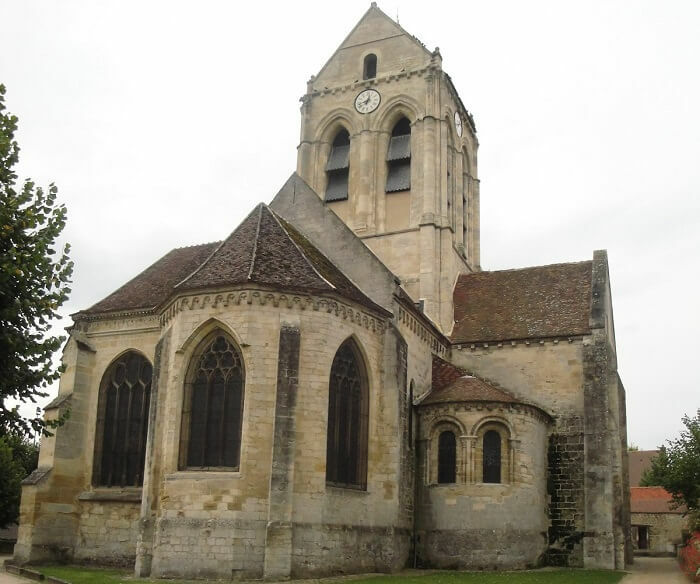 The Church at Auvers - along with other canvases such as The Town Hall at Auvers and several paintings of small houses with thatched roofs - is reminiscent of scenes from the northern landscapes of his childhood and youth. A certain nostalgia for the north had already been apparent in his last weeks at Saint-Rémy-de-Provence: in a letter written a couple of weeks before his departure, he wrote "While I was ill I nevertheless did some little canvases from memory which you will see later, memories of the North"
The foreground of The Church at Auvers is brightly lit by the sun, but the church itself sits in its own shadow, and "neither reflects nor emanates any light of its own." After Van Gogh had been dismissed from the evangelical career he had hoped to continue in the Borinage, Belgium, he wrote to his brother Theo from Cuesmes in July 1880, and quoted image from Henry V by Shakespeare, Part 1 of the dark emptiness inside a church to symbolize "empty and unenlightened preaching": "Their God is like the God of Shakespeare's drunken Falstaff, 'the inside of a church'"
The motif of diverging paths also appears in his painting Wheatfield with Crows.